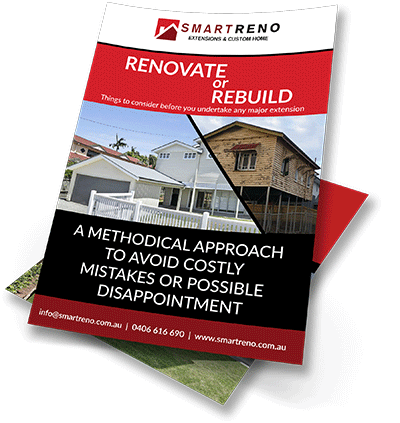 Whether your project is a full design and construct or a knock down rebuild, SmartReno can help with our stress-free process to complete your new custom luxury home. Our commitment is to you and delivering you a custom luxury home build on expert workmanship and above all customer service. Do you love your location, but your current home is no longer meeting your family needs? Have you considered an extension, up or out? More and more homeowners who prefer to stay in their location are considering this cost-effective option to ensure their home meets their growing needs now and into the future. The end result of any home renovation should enhance your lifestyle and increase the value of your home. 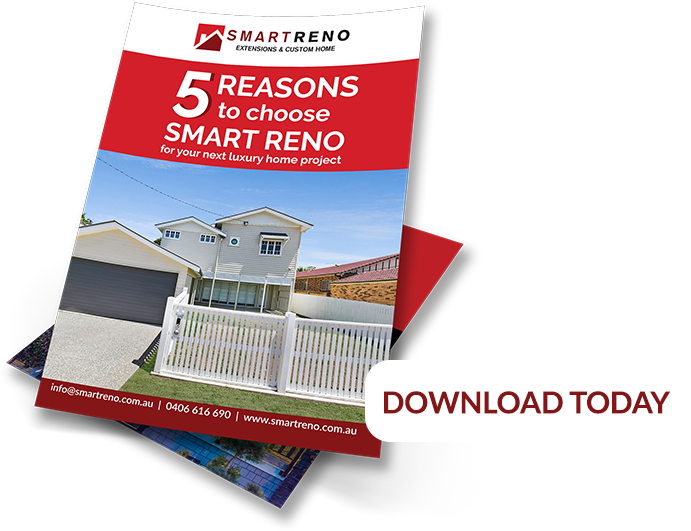 SmartReno specialises in custom design and construction. We can give your home much-needed improvements to suit your growing needs. We see the potential in your renovation and will commit to delivering you a masterpiece that perfectly fits your lifestyle.